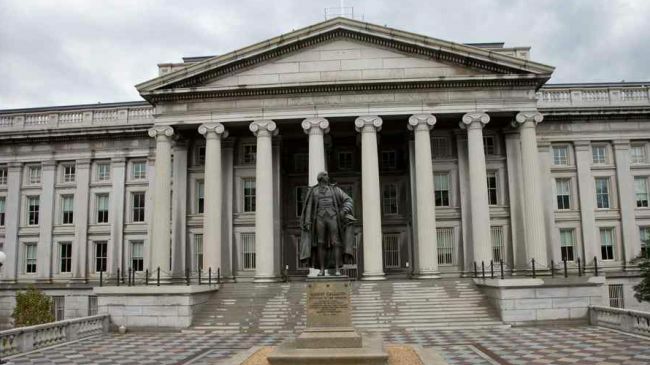 CNBC– The Treasury Department on Friday slapped sanctions on an elite Iranian military organization, part of its broader strategy to ramp up pressure on Tehran. The announcement came after President Donald Trump started a campaign to “fix” the 2015 Iran nuclear deal, telling Congress the agreement is no longer in the United States’ interests. The Treasury is targeting Iran’s Islamic Revolutionary Guard Corps, a military unit loyal to Supreme Leader Ayatollah Ali Khamenei. Members of the Iranian revolutionary guard march during a parade to commemorate the anniversary of the Iran-Iraq war (1980-88), in Tehran September 22, 2011. I am authorizing the Treasury Department to further sanction the entire Islamic Revolutionary Guard Corps for its support for terrorism and to apply sanctions to its officials, agents and affiliates,” the president said. Trump and Mnuchin said the Revolutionary Guards has supported Syrian President Bashar Assad’s regime, as well as terrorist groups Hezbollah in Lebanon and Hamas in the Palestinian territories. The Treasury did not designate the Revolutionary Guards itself a terrorist organization. “We urge the private sector to recognize that the IRGC permeates much of the Iranian economy, and those who transact with IRGC-controlled companies do so at great risk,” Mnuchin said in a statement. The Trump administration wants to get European allies to sanction the Revolutionary Guards, as well.